I know what you're thinking. "Mull, again?" And you'd be right. I have spent a great deal of this year on the isle, and have blogged about each trip. This one, as with previous years, was for a vacation, but it didn't start too well. Wanting to book the same B&B as before, I found out new owners had taken it over in Oban, but after a couple of failed email attempts, received a reply, and confirmed by replying to that. In hindsight I should perhaps have called to confirm, but I didn't, and it wasn't the most pleasant surprise after an 8 hour drive up there, to be told by the owner that there was no reservation, that the B&B was full. My fault too, apparently, initially because I'd used the wrong email address. Well, the one on the website (which I clicked on) failed, and I received an unrecognised email message back. I tried the old one, and received a reply from the old owner, who forwarded it on to a different account. Progress, I thought, so when I heard from that, I simply replied to confirm my details. He never received the confirmation, and I spent a night in another hotel sleeping on the floor to remind to check next time. That is, if I bother to use that B&B again. As we were up earlier than usual, and the hotel didn't even offer breakfast (!! ), we ended up being ushered on to the ferry before the one we'd booked, so arrived on Mull in very good time, and chose to head over to the Coffee Pot in Salen for a bacon baguette. Just the tonic. Then it was off to find some wildlife, taking in the sights around the lochs. I never tire of these expansive views. 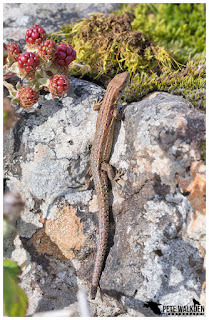 Usually though, the first day on Mull at this time of year, is fine, but this year, we were a week earlier due to my brother's wedding clashing with our normal dates, and the first day was horrid. It wasn't a huge surprise after getting the keys to the cottage, that Dad didn't want to go back out again, leaving me to explore alone. My targets for the fortnight were to be birds of prey. Don't get me wrong, I love seeing and photographing otters, but the Photography Tours I co-run on Mull very much favour otters over raptors, and the latter were what tempted me to Mull in the first instance, all those years ago. As it happened, the first afternoon / evening session on the isle, provided a great appetiser for such hunters, seeing buzzards, a ringtail hen harrier, a sparrowhawk and a white-tailed eagle all within the space of a few hours. 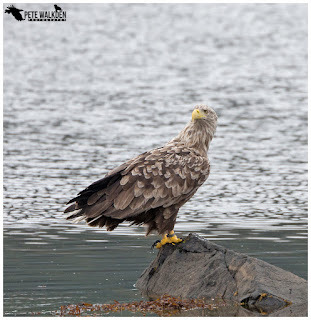 The buzzard was initially hunting, then caught something which may have been a frog or toad, and ate it on the lochside rocks. The sparrowhawk had been sitting in a small tree near one of the plantations, but surprised me by flying down towards the car, and perching up much closer when I poked the camera out of the window! Doesn't normally happen. Then just as I was heading back to the digs, I clocked the white-tailed eagle skimming the tops of the trees near the Kinloch Hotel, and as I pointed the camera up at it, the eagle decided to empty its bowels! Delightful. Normally when I park up at the cottage, I'm gutted that the day has ended, but I was utterly shattered and was very glad of a bed that night! 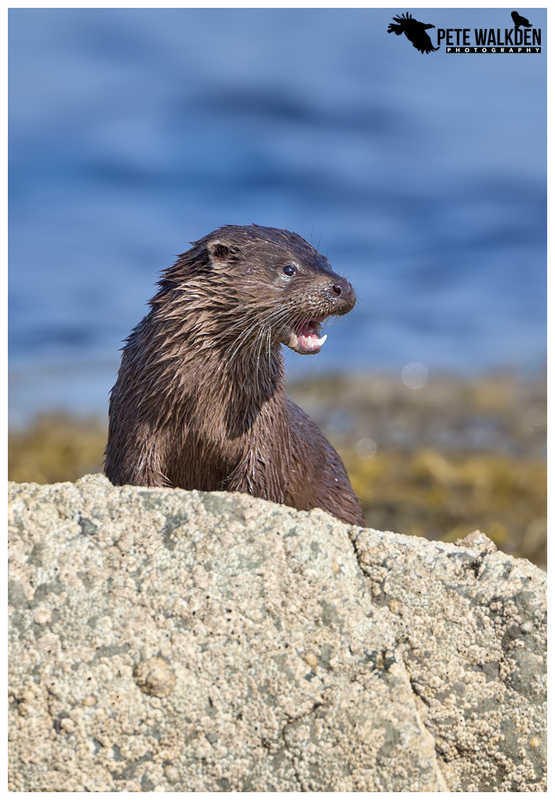 Despite my intentions of aiming for raptors, I did encounter quite a few otters, and I wasn't going to ignore them. That said, as it was mid-August, and hence mid-holiday season, there were a lot of other people around, and in almost every case, I watched the otter get spooked by them. Sometimes it would be from another photographer failing to approach properly, or from them having taken their shots, failing to creep away as silently as they approached (this really annoys me - you should apply the same level of stealth and effort to leave an otter as you do to get close in the first place, not just stand up, and walk off). Or it'd be from sightseers seeing me, and then stopping nearby, and walking over for a look. Nothing that can be done about that I suppose. I'm not perfect though, I did spook one myself though one day, when it had rained overnight, and the rocks were like sheet-ice. 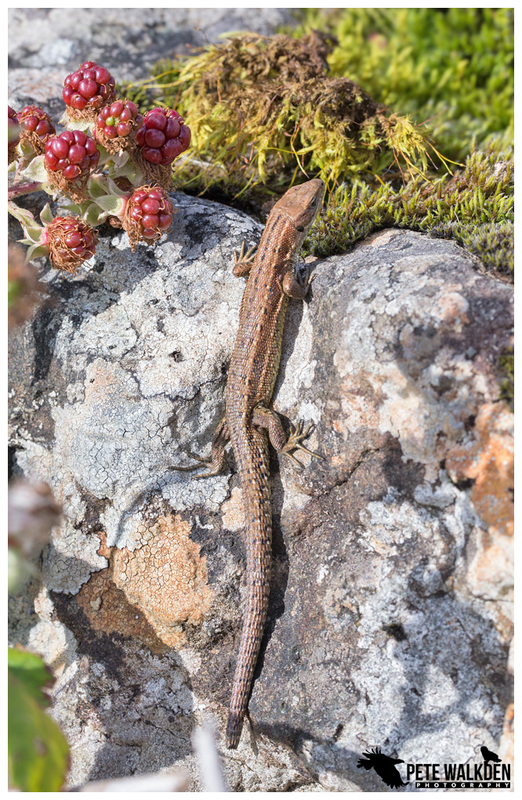 I was crouching down, slithering across the top, when I just slid down into a rockpool, and found I couldn't get out! All sides around me were too slippery for any traction, and I ended up getting wet feet when I pushed off the edge of the pool and bridged my back to get some grip from my clothes! The otter must have heard (but not seen) the disturbance, and was swimming further away when I dragged myself free. But before I could relocate, the clouds parted, a rainbow formed across the loch, and a bus-load of tourists jumped out of a coach to photograph the view, and that was the end of that! After the fortune of the Mull Summer Photo Tours both enjoying fabulous weather for the Mull Charters boat trips, overcast conditions greeted us for our first trip of the fortnight aboard the Lady Jayne. Still, Martin and Alex provided warm welcomes, and the eagles didn't disappoint either. 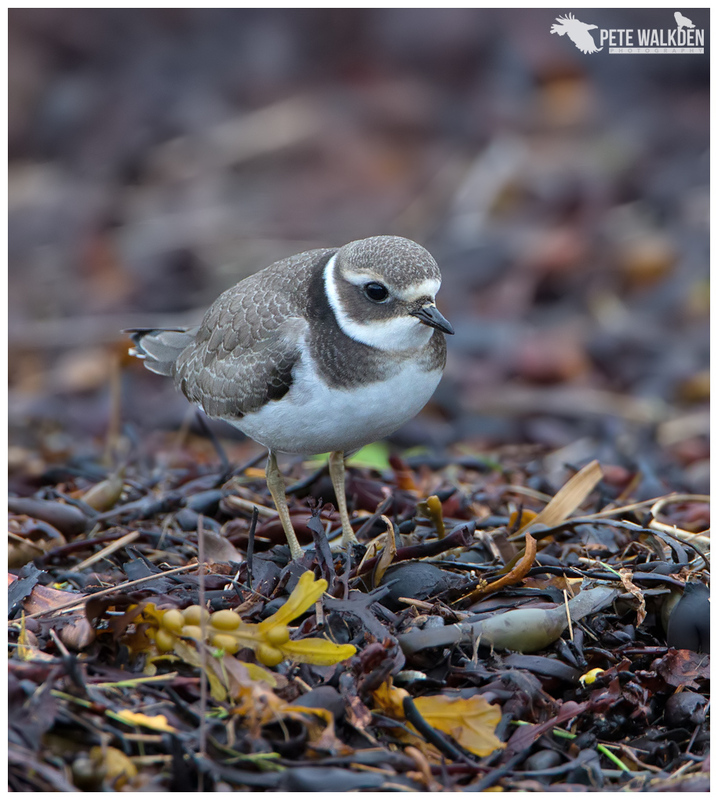 It has been a phenomenal year for sightings from the trip, with some sailings seeing over 10 visits from the birds. While we didn't get quite such a show, we still had fantastic views as the eagles came out, and my old 100-400mm lens locked on for some cracking shots. I wonder if I'll miss the ease of the push-pull mechanism when I update it to the new twist zoom model? 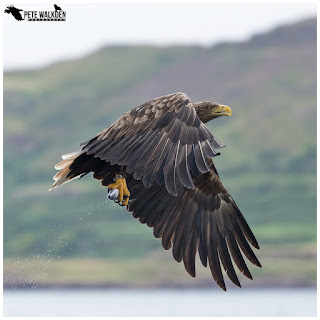 One of the dives was interesting in that after taking the fish, the eagle then banked sharply to head back to land, and gave us photo opportunities of it clutching the fish. 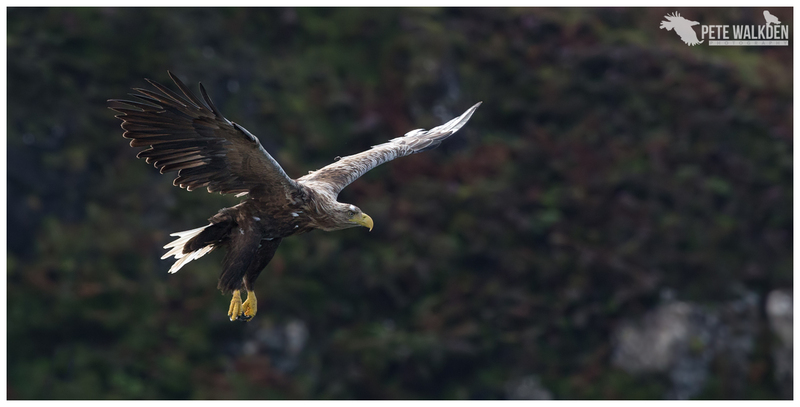 Often the eagle simply powers away after the take, and offers little to shoot at. 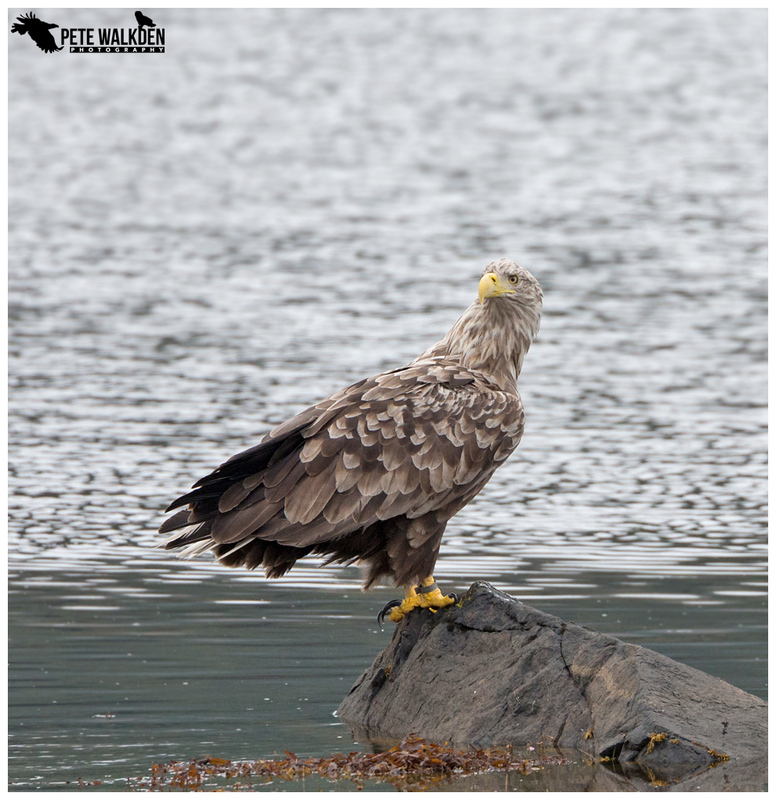 With a couple of spaces free on the afternoon trip, Martin invited us to stay aboard, and we weren't going to refuse such an opportunity, heading out again in search of more eagles. It took a bit more effort on the second sailing, but eventually "big beak" paid us a visit, and gave us all what we wanted with a terrific showing. 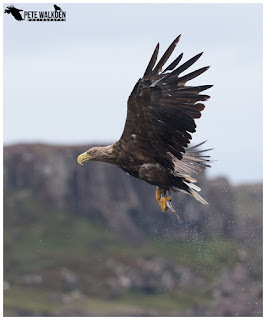 Another great day out with the eagles and we had another sailing booked for the second week too. Just can't get enough of them. As with many previous visits, I spent time around the marshes in the hope of a close encounter with a hen harrier, and as before, one didn't materialise. 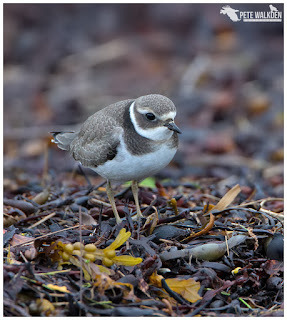 Instead I would park up at the back of a small beach area where the tide had left a strip of seaweed, and feeding on the insects on that, were dunlins and ringed plovers. 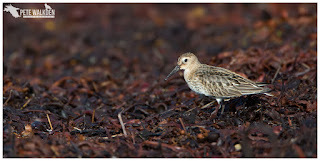 Gorgeous, busy little waders, and tolerant of a noisy car parking up, thankfully. 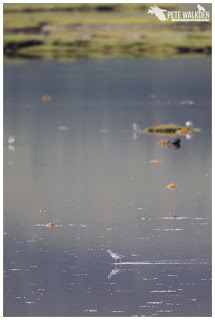 There were a few greenshanks around too, though being such timid characters, they remained at a distance, alas. The second week was already upon us, and with a break in the weather, Martin invited us on for a Saturday sailing. 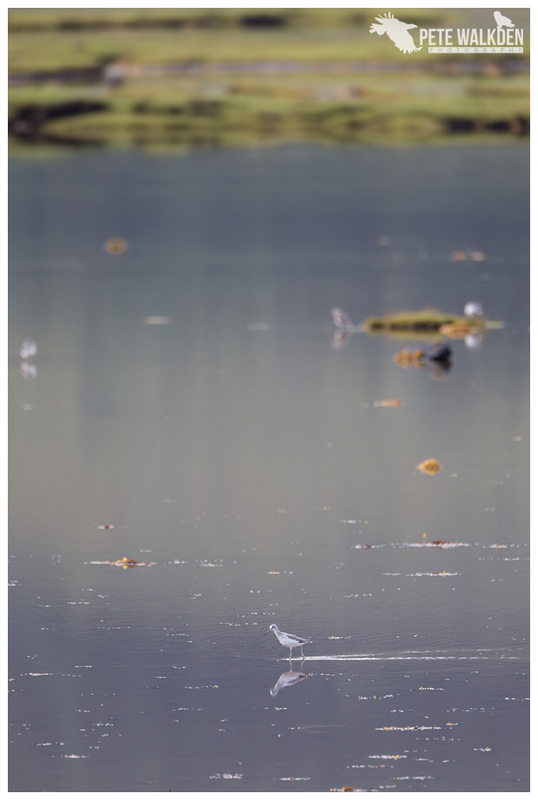 With hindsight I should have taken aboard both my 500mm lens and also a 24-105mm, as the conditions were calm enough for balancing with the larger beast, and stunningly beautiful to warrant some wider landscape, or should I say seascape images to be taken. The colours reflected on the calm waters as we sailed out to some of the islands were magical. Just gorgeous. Of course the eagles put in an appearance later on, and with some slow approaches, gave everyone time to get locked on for the approach. More images of the wonderful birds to add to my collection. It's funny sometimes how one thing can lead to another, and one calm morning, with a high tide, I had settled beside the shore once again, to photograph the band of waders. They were a smidge too far off for my liking, but before I could consider approaching, the mewing call of buzzards stole my attention. Glancing up the hillside I watched four of them, circling and then diving at something on some rocks. 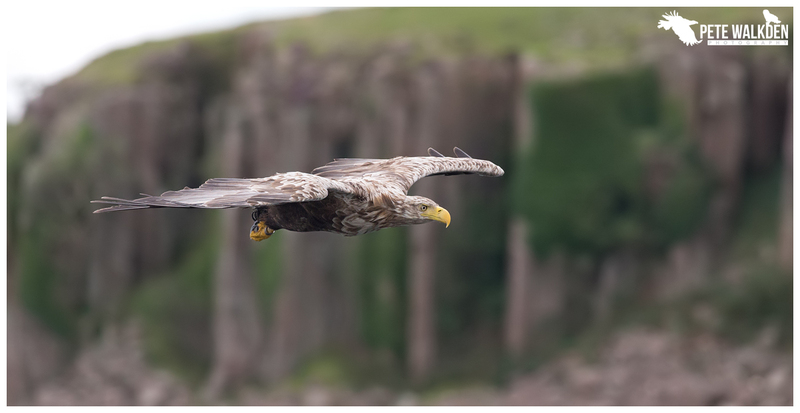 A white-tailed eagle. 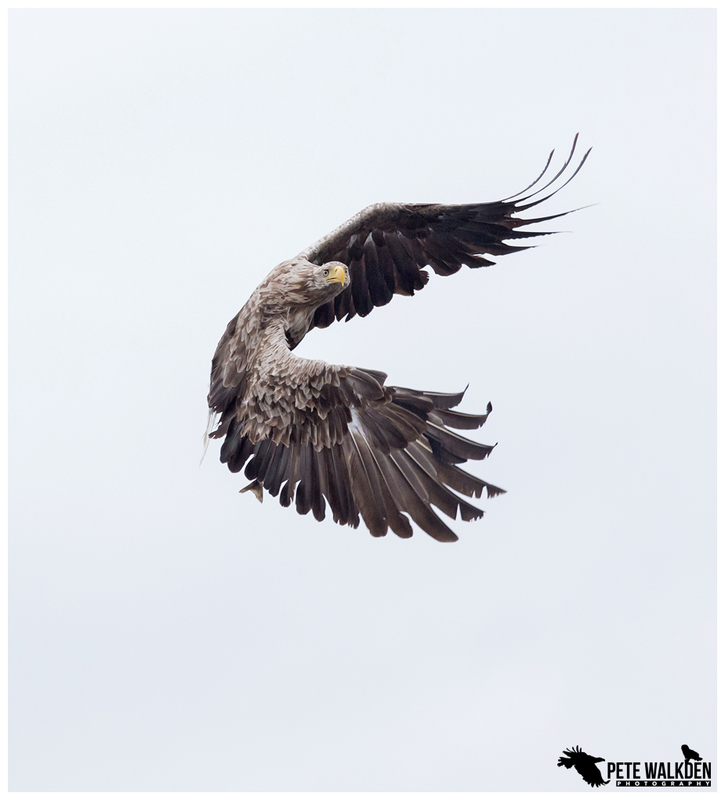 I started the car, but before I could get any closer, the eagle unfurled its massive wings and lifted off, soaring away towards the river and marshes. Something inside me told me to follow, so I did. Initially, it seemed to have been a waste of time, with no sign of the eagle on the marshes, though the gulls, geese, waders and ducks had all scattered as normal. I turned the car round and was about to head back to the shore when something unusual caught my eye. 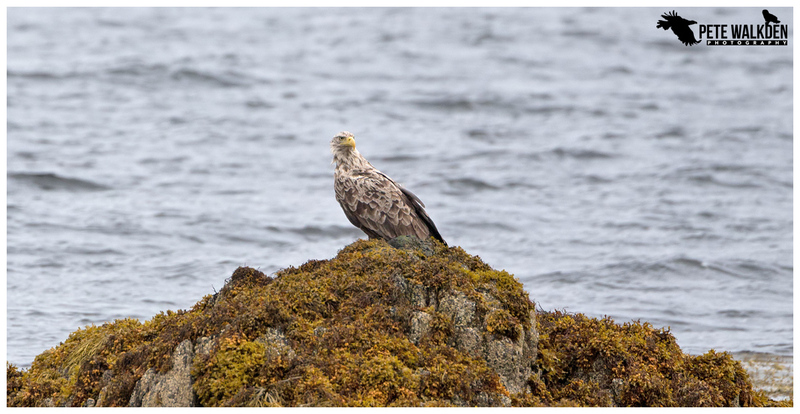 When you spend as much time as I do looking for wildlife, anything unusual, even in your peripheral vision grabs your attention, and as I trundled closer, I realised that a white-tailed eagle was perched on a small rock near the shore of the loch, not a million miles from the road. Driving slowly past, as I had to turn around to park up safely, I crossed my fingers that the eagle wouldn't be spooked by the car, and that was when I saw the other one. Sat in the water, just a few metres from the one on the rock. Wow. Thankfully my luck held out, and neither flew off when the car's ignition was switched off, and I pointed the camera at them. I grabbed images of them individually, but couldn't believe my fortune when the one that had been paddling in the shallows, took off and joined the other on the rock. Dreams are made of stuff like this! Perched beside one another, the difference in size between genders was clear to see. The female even looked over at me briefly, when I assume she heard the shutter on the camera fire. Then a large mobile home thundered by, and the moment was gone; one of the eagles lifting off to fly away to the other side of the loch, leaving the other to perch alone briefly, before also flying over to the rocky shore, further away. 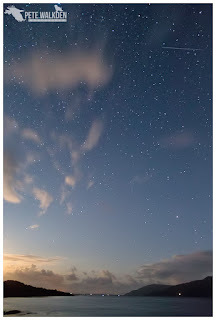 I didn't take another image that day, but do you know what, after that experience, I really didn't care. Incredible. 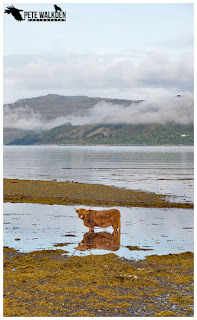 The island of Mull has stunning scenery of course, and amazing wildlife, but also seems to have a fair number of Highland cows and bulls around these days, and it seemed to be a missed opportunity to ignore these characters on brighter days. 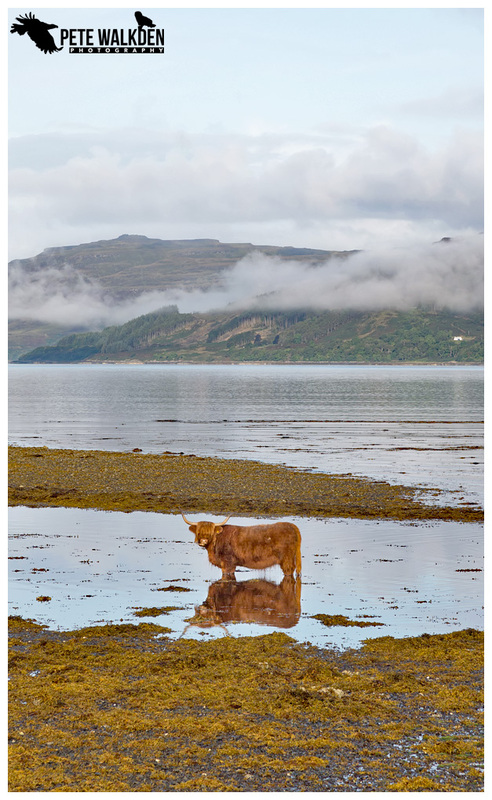 And with the herds often feeding near our cottage, it was easy to pop out when conditions suited me, and one calm, sunny morning, some of the cattle were paddling at the edge of the loch. I couldn't refuse such an image, and scuttled over for a few minutes. I know it's not "wildlife" but they make great subjects. 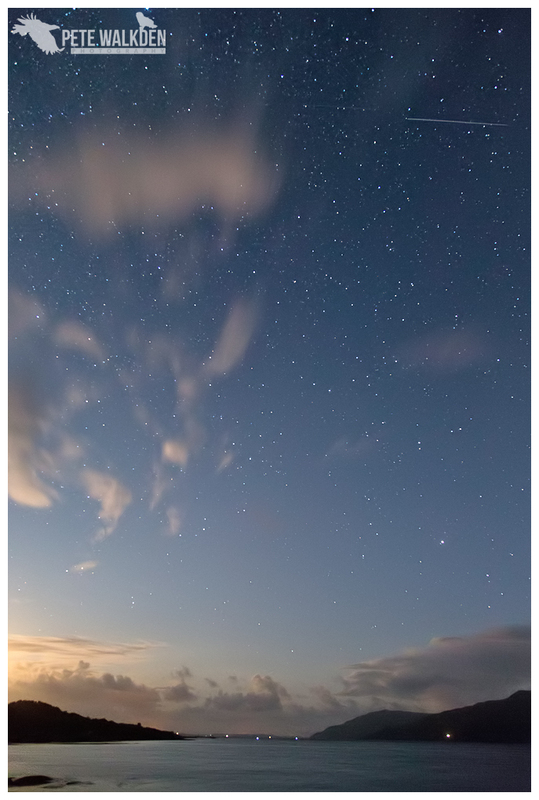 With a break in the clouds one night, I tried for some astrophotography, which meant standing in the pitch darkness near the loch, grabbing long exposure images when the moon went into hiding behind a cloud. 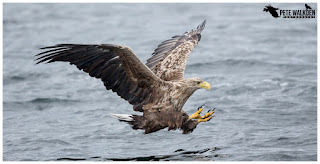 Made for some interesting shots, but I regretted not reverting the camera back to normal settings the following morning, when one of the local white-tailed eagles swooped down in front of the cottage, in an attempt to take a mallard. While I could quickly adjust the settings back to suit daylight, I was caught out with the 2 second delay on the shutter. I uttered a few words not to be repeated on here... one day I will learn! The eagle relocated to some rocks along the loch, which allowed Dad and me to get some shots from the car. 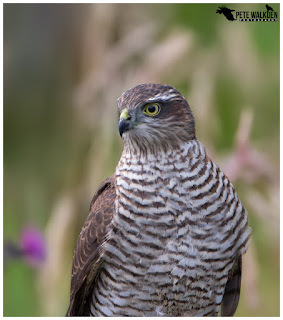 Wasn't quite as close as my encounter earlier in the week, but I was pleased Dad could share in something similar. If I wanted close, then the otter encounter later that morning would provide that. 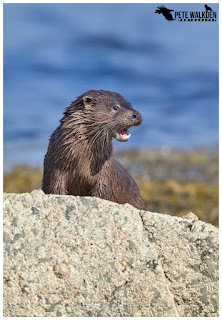 Having tracked one along the shore for nearly an hour, I guessed where it might head back in, and set up behind some large rocks to get shots should the otter decide to groom for a while. 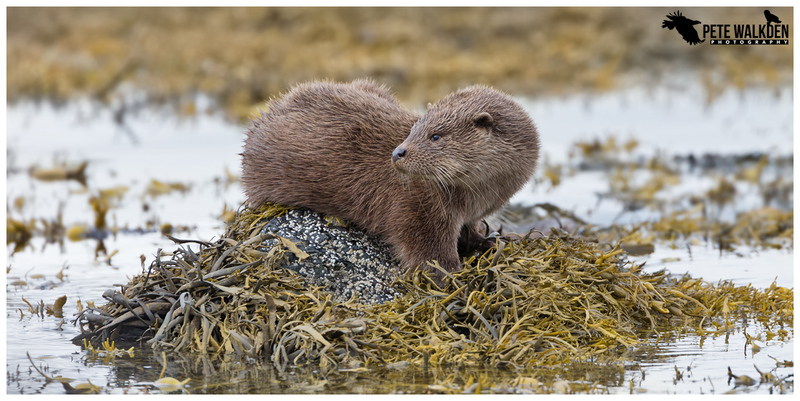 Crouching down, back resting against a rock to hide my shape, I waited, and waited for the otter to appear where I expected it to. It didn't. Instead, it climbed on to one of the rocks I was using for cover, and stopped in its tracks when it looked over the top and down at me. 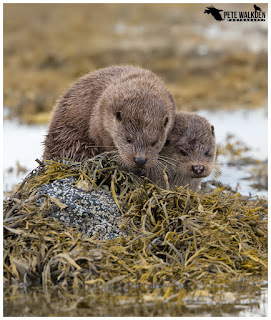 There was a moment of surprise for both of us, and knowing full well the otter had seen me, I grabbed a couple of shots. The otter then scampered down away from me, appearing on more boulders further along the shore. I remained exactly where it had seen me, and resisted the urge to move. Only when the otter had stopped looking in my direction, and was absorbed with grooming, did I creep a bit closer again. Thankfully this time the otter didn't move, or spot me, and I enjoyed great views of it grooming, rolling around and then heading off up one of the streams to its holt. After the incident with the rockpool, I hoped I might catch up with that individual again, and without any overnight rain, the rocks were safer to scramble over one sunny morning. 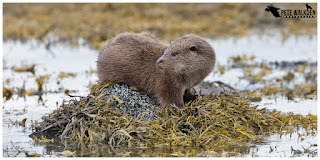 As with many otter encounters, it took a while for me to enjoy any luck, with the otter bringing catches in frequently just out of view from where I was hiding. 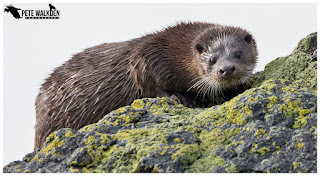 Eventually my luck changed, and after missing another catch being eaten, the otter climbed on to a rock in the sunshine, to scan the area, before heading off out again. 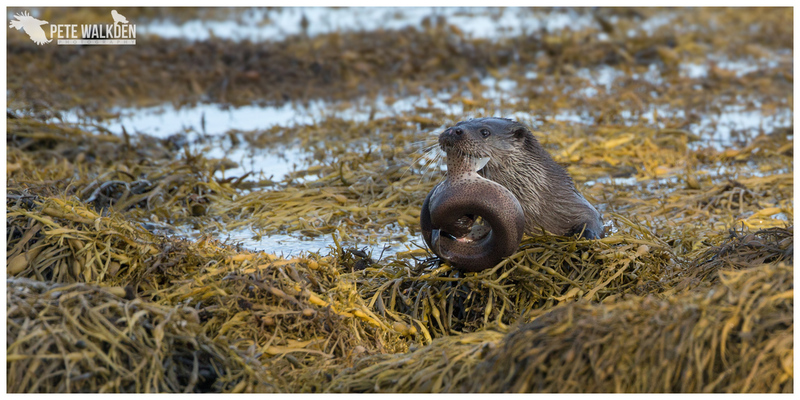 Later that day I saw another otter, and it brought ashore a huge fish. I thought my luck was in for this, as surely it would take a while to consume, but after only a few seconds of feeding, the otter left. The fish as it turned out to be, was a lesser spotted dogfish, and according to some of my otter-watching friends, these fish are horrid to eat on account of their abrasive skin. The otter only tends to consume soft fleshy parts such as the stomach, heart or lungs, leaving the rest as it is too unpleasant to attempt to eat. Always learning something new in this game! Another lesson learned for next year is to book the ferries earlier, as the one taking us off Mull was later than I usually would like, so we had a few hours to kill before getting on it. I often hope the final day is terrible weather, so it's easier for me to leave, but it wasn't. It was glorious, and we parked up at the viewpoint car park at Grasspoint to watch the world go by. 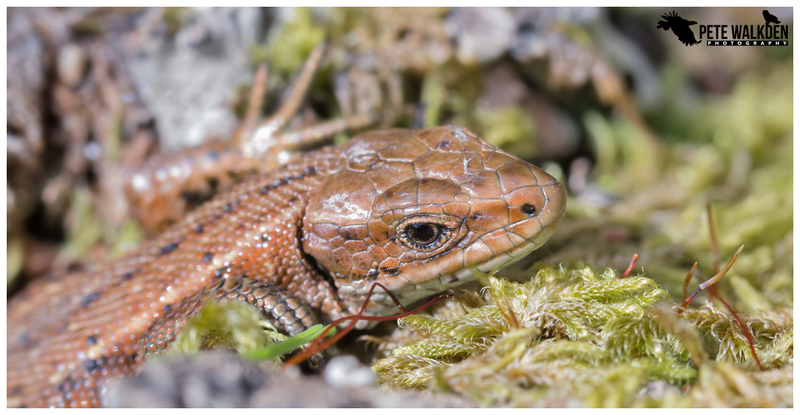 Whilst hoping for a sighting of perhaps a harrier or short-eared owl, I ended up crouching beside a dry-stone wall, with my macro lens pointing at a common lizard basking in the sunshine. 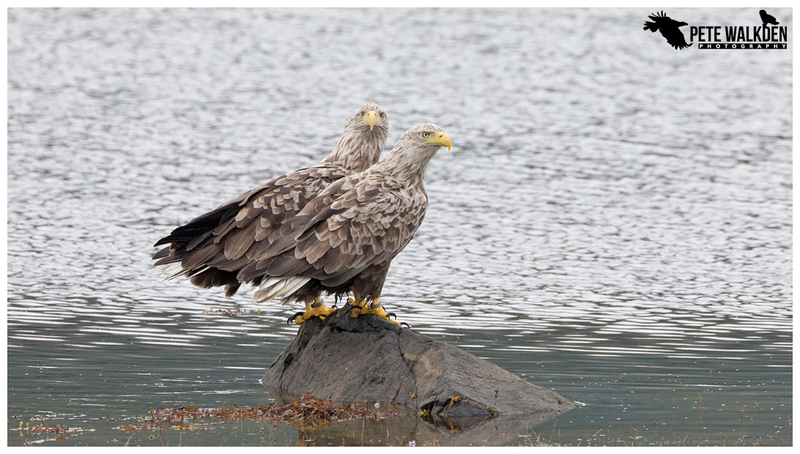 No sign of any raptors, and it was soon time to head to Craignure for the ferry. Another fortnight consigned to the history books, or this blog at least, and of course a great deal more fine memories of the wildlife and other sights on Mull.